Rampage is a science fiction monster film loosely based on the video game series of the same name and stars Dwayne Johnson as a primatologist named Davis Okoye, who must team up with George, an albino gorilla, who turns into a raging creature of enormous size following a rogue experiment, in order to stop two other giant mutant monsters. 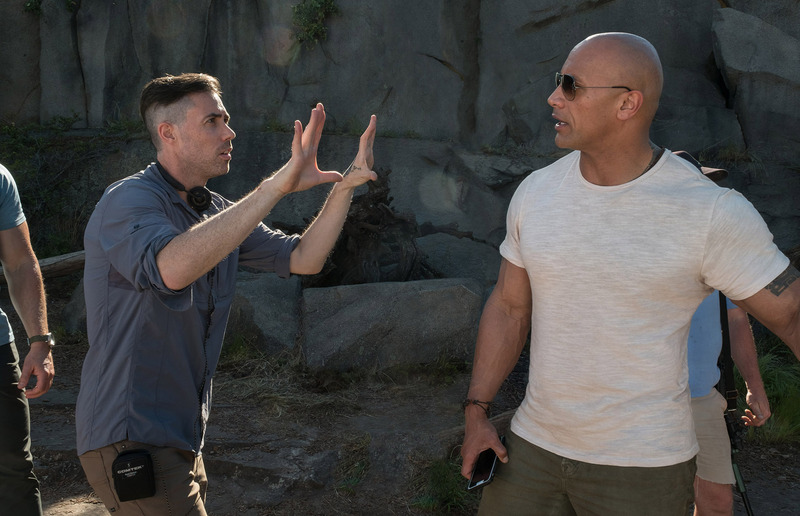 Brad Peyton directed and produced Rampage. This is his third collaboration directing Dwayne Johnson following the 2015 San Andreas which grossed $473 million worldwide and Journey 2: The Mysterious Island. 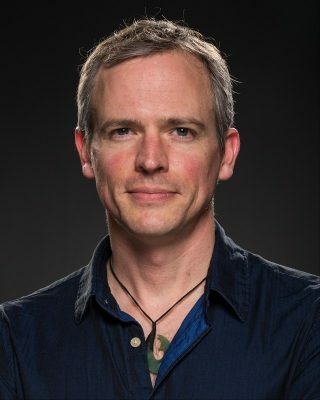 Colin Strause was the film’s production VFX Supervisor. Strause had previously served as lead visual effects supervisor on Brad Peyton’s San Andreas. Weta Digital’s team, led by Oscar nominated VFX Supervisor Erik Winquist, were exclusively responsible for the creatures in the film. Hydraulx VFX, co-founded by Colin Strause, handled almost everything else. Weta Digital did just over 600 creature effects shots, the only significant creature work Weta did not do was the killer rat in the film’s opening space sequence. Erik Winquist presented the film's visual effects work this week at FMX in Stuttgart. The work of Weta in this film clearly builds on years of creature work, facial animation, MoCap retargeting and specifically ape animation in a range of films. The FMX conference in Germany is the premiere conference for visual storytelling and world building in Europe. We will have more stories coming from the conference including the launch of the new Foundry Cloud service and the latest news from the Pixar RenderMan team on the upcoming v22. Check back soon for much more. For the film’s central relationship to ring true, it was important that audiences accept the gorilla, George as Primatologist Davis Okoye does, as a genuine personality, thoughtful, playful and funny, and of course suddenly angry and frightened. For the director, that meant using performance capture for the character so that an actor could convey emotion and work as much as possible with the actors on set. “I do a lot of effects-driven movies,” the director says, “but I’m still a big fan of shooting as much as I can in-camera. And since the most important dynamic in this movie is between Davis and George, to not build things around two actors in those roles seemed foolhardy. I want audiences to fall in love with George.” To that end, Peyton cast performance-capture actor Jason Liles. The Weta team incorporated part of Liles face into the design of George, “so that George’s eyes are Jason’s eyes, George’s expressions are Jason’s expressions”, commented Peyton. George was modeled primarily off the real world gorilla, Snowflake that resided in the Barcelona zoo and died in 2003. Snowflake was also reference used for King Kong at Weta and the character Winter in War for Planet of the Apes. Weta went to great lengths to make sure George was different from Winter and felt original on screen in Rampage. They designed George as a mix of SnowFlake and another gorilla, Winston, from the San Diego zoo. Given the limited number of great ape gorillas in captivity, Winston was also a model reference used for Red in War for Planet of the Apes. “The challenge for us from the outset was to create an original character,.. and then incorporating some of the facial features of Jason into George’s face, especially his eyes and around the jaw,” explained Winquist. The current Weta face pipeline started with back with the film King Kong and the initial approach of a FACS based workflow from the work of researchers such as Mark Sagar. Much of the original thinking from King Kong is still carried forward today in films like Rampage and the Planet of the Apes films. “It is all based on that FACS foundation” comments Winquist. “All the facial shapes on the face of George in Rampage are a direct carryover from the work that was done on the Planet of the Apes films. All the actual face shapes that animators are dialing in today, are those FACS action units”. Although George in Rampage required more expressive comic acting, the modeling process the Weta team went through is the same process as they did to achieve the dramatic character animation in the Apes films. “The foundation of what our animators needed to work with was exactly the same,” Winquist commented. "It required the same workflow of sculpting custom facial expressions for George to match each of the actual FACS action units, just as he had done for not only the Apes films but say the characters in Avatar". Unlike Caesar in the Apes films, George is not super intelligent and at the beginning of the film, the Weta team needed to deliver a very believable normal animal gorilla performance. The tone of Rampage is very different from the Apes franchise. “One of the things that has been interesting about working on this film, coming right off the heels of War for Planet of the Apes, is that those last two Apes films were very serious, almost Shakespearean - very heavy and dramatic material to work on. By comparison, Rampage is more like bubble gum / cartoon land, - full on tongue in cheek fun” Winquist points out. “It was a nicer change of pace that was completely different, in terms of how we could get the character across”. Given Weta is the world leader in animating apes, it managed to create George "in a much shorter time than it may have 10 years ago," according to Winquist and the team was able to reference a host of specialist skills. Stunt performer and movement coach Terry Notary even took a break from Avengers: Infinity War, which was also filmed in Atlanta, to help Jason Liles in his performance as George. Liles trained extensively with Terry Notary, (Planet of the Apes films), to learn how to sit, stand, and present himself like a gorilla—as much a psychological, as a physical process, incorporating beats of stillness and the conscious use of energy. At the start of the film we find George and other apes in a regular enclosure that needed to feel like the gorillas were behaving just as they would in a zoo. Interestingly, in this opening sequence, two of Terry Notary own daughters played a pair of the smaller gorillas. The team employed an optical capture system involving a surround-set of 32 cameras tuned to the reflective surfaces of the MoCap suits as well as four witness cameras used for reference. Compared to the Apes films, the Weta team did not have as many performers to capture at once, and so the set up was slightly smaller. Additionally, “we didn't have to contend with snow and rain on this film” Winquist joked referring to the tough MoCap environment on War. As the gorilla grew, while MoCap team still had reference of a special body suit for tracking Liles on set, but the team blended over to doing more facial capture on a separate special MoCap volume stage. Liles would work with a scaled down proxy version of the set. Sometimes, given the complexity of interaction of the giant George and the buildings of Chicago, the team would even blend Liles performance with a later body capture recorded in Wellington by one of the Weta’s own MoCap artists. This style of blended work requires a lot of complex hand data editing and animation artistry. Not only do the two performances need to blend, but the physics of reading various movements, inertia and secondary motion all need to be consistent with one creature in that moment. “It is easy to get caught up in that one is capturing the performance on set and that is being blended etc etc but it is not about the technology of it, the tech is only the starting point, it is the animators who bring a cohesive ‘soul’ into what you see on screen”, Winquist emphasizes. “By the end of the film when we have full sized George rampaging through Chicago, it was pretty much full key frame animation. Because so much of what was being required of the scenes was things such as fighting with a giant wolf or crocodile - and there is nothing meaningful we can capture at that stage”, explains Winquist. Given the nature of the film, by the third act, the creature’s performances are told more in their lines of motion and silhouette. “It was one of the great things coming to this film, it has been a while since our animators have been let loose and able to run around and do wild monsters…it does come back to the principles of animation, what will sell this weight best, what will communicate that these are both energetic and action packed shots - but also not feel like the characters are regular sized creatures”. Weta used it’s now standard Physlight pipeline, and rendered in Manuka, as they did with the most recent War film. One major difference was the amount of screen time of George as an albino gorilla. White fur poses certain very specific render issues due to the amount of bounce in the fur. In War for Planet of the Apes, the team had the same white fur rendering issues with the character of Winter but he was not on screen as much as George. “Working though the character of Winter really helped inform us as to where our optimizations had to be… but because we are doing full light transport with dual scattering through the fur, the absorption is very minimal, so the paths keep bouncing and bouncing. You can very quickly end up with renders that are very noisy or take a week to resolve”. As such, Winquist feels that one of the biggest advances in this film’s render over the previous similar setup is their new post-render intelligent de-noise strategy, which the team used extensively. Weta used Houdini much more on this film than many others Winquist has supervised in the past, which he felt was “a really great thing to see" he commented. "In some shots such as when Lizzy is coming out of the river, instead of using our normal Synapse water pipeline we were using Houdini Flip - for no other reason than we had artists free who were very comfortable with Houdini and so it is just a matter of what is the best tool for the job, given the artists that are available”. The film extensively uses both Houdini and Synapse. Weta is not moving away from using Synapse, it was used for all the fluid sims of smoke and dust, along with other hero water simulations. By comparison, to George, there was no motion capture for Ralph and Lizzie, who were fully keyframe animated by the Weta character animators. The monsters that evolved were complex not just due to their size. Given the film’s premise that they were genetically altered, the animators had to animate not just a giant wolf, but one that has porcupine spines and wings. The monsters in the 'Rampage' video-game series, on which this film is loosely based, were mutated humans who transformed into giant animals. The genetic engineering causes them to not only grow in size, have an increased aggression and adopt some genetic features from other species such as some regenerative abilities. In the original games, Lizzie, George and Ralph used to be human. They mutated into a giant lizard and flying wolf through experiments at Scumlabs. However, in this adaptation, the creatures were normal animals that mutated after the Energyne owned Athena-1 research space station crashes to earth. The film’s villains, are a brother and sister who own Energyne. Their first attempt to capture the Wolf 'Ralph' is using a team of mercenaries lead by Burke, the confident, seen-it-all leader of Killers R Us. Joe Manganiello, played Burke. Manganiello and the actors had to fight the giant wolf, informed only by the previz. “It’s really interesting working off of pre-vis. A lot of the big action sequences were done preliminarily on Brad’s iPad,” Manganiello comments. “So, it’s like a video game from the 90s. You’re watching the team interact with this giant wolf and you can see it all, right down to the camera angles and the timing, per reaction, per shot. Our job is then to breathe life into what Brad has pictured in his brain”. Another challenge was the creature rigging for the giant animals. The script called for the giant wolf Ralph to be able to fly by the end of the film. The first question for the modelers was if a canine skeleton could move to make the guilder pose of a giant bat. (The answer, by the way is, no). “The way a canine is built, they just can't spread their arms out like that”, commented Winquist. “The creatures team kept saying to me, ‘- they just don't work like that - and at some point you just go: you know we are just going to do it. We would think about it and tie ourselves up in knots, but in reality it only happens for a few brief shots and we don't feature the transition of the arms going out on screen” Additionally the team wondered where the extra skin of the wings comes from? Where are wings stored when the wolf is walking for example? At one point Winquist just declared, “you know what - it's just CG - it will turn off.. and we’d switch in the wing variant model when he moves behind a tree or building and then switch back after that,… it's just the magic of movies!" At their peak growth, the ravenous wolf is 50 feet high and 85 feet long, weighing in at 13.8 tons, while the croc clocks in at 60.7 feet by 225, and an astonishing 150 tons, with jaws that crush through buildings and vehicles like they were cotton candy. The film was shot on the Arri Alexa often with vintage anamorphic lenses. The location work was filmed in Stone Mountain Park, Georgia, and in Chicago. Erik Winquist and a small crew travelled to Chicago to create a model of the Chicago Loop that would be destroyed in the climactic battle, scanning and photographing the building materials and architecture styles. Up to 15,000 photographs were taken with 3D scanners, while the motion cameras covered downtown Chicago. As reference for the building destruction, the artists studied both the World Trade Center attacks and implosions of buildings affected by the 2016 Kaikoura earthquake in Weta's own New Zealand. The giant animals pose a complex problem for the animators, any giant creature is easily read as large by its slow big lumbering movements. By comparison, mice and small animals move quickly and dart around. For any action film animators need to provide the pace of an action film, but not have the giant creatures move so quickly they loose scale. “Our first pass of a shot in the final showdown was often perhaps too realistic to the scale say a 200 foot crocodile might be" commented Winquist. "Brad would look at it and say’ It looks kind of boring can we just zip this up a bit?’ Then we'd work through the shot, and sped up things, add a jolt, do a few other things, while making it still seem real. I think there are quite a few shots that worked out really well - they feel like they have a good snap to them and yet they feel like giant monsters “. One of the other more technical aspects that Weta used to add scale was found in how they treated the creature simulation work. 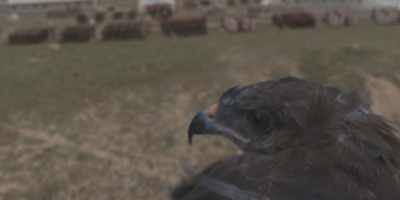 Ralph and George had fur, and the team played with the scale and physics of how that fur moved and reacted differently than the direct animation settings might suggest. For example, they studied how grass on giant plains moves in the wind, and the patterns of movements, and then applied that to the creature’s fur or hair. So while the movement might be swift, the secondary simulated motion was being solved on a different set of physics and scale parameters. “They were not solved in real space they were solved in local space to the creature, and in that sense the team could scale down how much movement was assumed to be happening as the inputs to the creatures simulation” says Winquist. Weta also did some 100 frame per second reference shoots with a sheepskin rug, pouring dirt and git on it to see how things might look at scale, “to get a sense of how dust behaves when it is rolling down wholly fur and that became really good reference we could go back to to study” he adds. The goal was for the actors to interact with CG monsters and great slabs of falling concrete, steel and glass as realistically as possible, with tangible foreground and mid-ground settings blending into deeper background extensions. From CIA also done at Weta. There were some stunt double replacements for Dwayne Johnson and some face replacements. What was incredibly useful was the fact that Weta had done Johnson’s highly successful CIA film. For about 6 shots in Rampage, including one key hero shot, the Weta team could use the super detailed Dwayne Johnson USC ICT Lightstage data they already had. “We could go to the archives and pull out the ICT head scans for Dwayne, …so that did not require much work to use, as we already had a very detailed facial puppet, … it is wonderful that we have now this library of famous actors we can use with their permission”. It should be noted that CIA and Rampage are made by the same studio.